Play paintball outdoors one last time before the snow comes! Bring your friends and family to celebrate the end of another great paintball season. 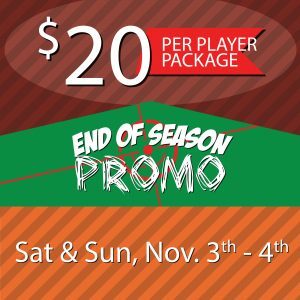 Saturday, November 3rd – Sunday, November 4th every paintball player through the door is only $20 either day! Thats $14 off!! Discounts on smoke and paint grenades too! Book a party now to secure your rental gear and table space! Play either day for $14 off (regular pricing) for every player! 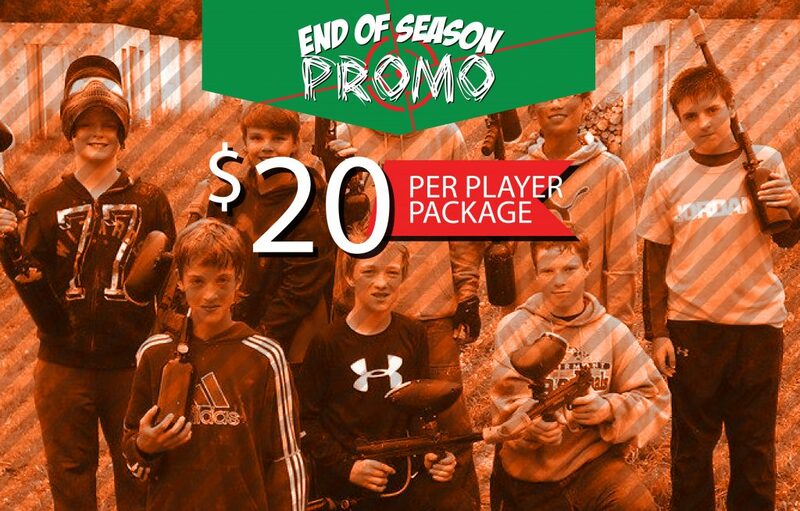 Discount package includes admission, rental gear (protective mask and paintball gun) and 100 paintballs! Reserve online and guarantee your party’s spot for only $20! This special will conclude our season as an outdoor paintball park. If you would still like to play later in the year please give us a call. We will be re-opening early spring 2019! More big changes are already in the works for next year. We will be upgrading our paintball facility with more special events, new fields and more! Stay tuned on whats happening by signing up for our mailing list or follow our social media pages for the latest updates. If you have any questions about the end of the season special or booking a group give us a call at 952-492-6776. If you are looking to schedule an event outside of our hours please give a call to see if we can accommodate you and your group.